Notes: Based on the manga by Takahashi Yoichi. Oozora Tsubasa has always wanted one thing: to be the greatest soccer (well, football everywhere else) player in the world, and to play in the World Cup, which is held every four years. 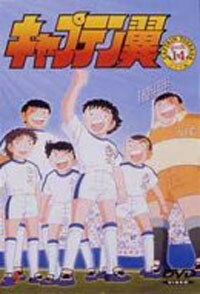 The story centers on Tsubasa and his teammates, friends, and opponents as they attempt to become the best soccer team. Finally they must determine the eleven talented players who will fill the vacancies in the Japanese National team for the World Cup. To start off, this anime isn't as obscure as it may seem. The United States is just about one of probably three or four countries that has never run it on national television. Why? Simply because soccer (regarded as the most popular world sport) isn't popular in our rather secluded nation. The characters have international appeal, and could represent just about any country, and that is remarkable, in my opinion. Tsubasa is known around the world as Oliver (Mexico / South America), Majid (Middle Eastern countries such as Saudi Arabia), and in video games, he even featured the name Andrew in Tecmo World Cup (our version of the Captain Tsubasa video game on the Nintendo Entertainment System). The animation was good for its time (early 80's) but it pales compared to recent anime. Still, the campy nature and compelling storyline are enough to get you hooked on it even if soccer isn't your cup of tea. Recommended Audience: Nothing objectionable at all in this one. The whole family can enjoy the games on the field. Kojiro's background and violent nature may be distasteful to some though. And his trainer drinks sake...big whoop.